You’ll need to be in quick to receive an early bird discount to attend the NZCCSS Services for Older People Conference “The Next Stretch” in Dunedin 8-9 May. The early bird registration deadline has been extended to 14 April. NZCCSS conferences are unique events and a great opportunity for professional development as well as getting to know others working with older people in aged care and other social services. You can register online at or simply call our Dunedin conference organisers (03) 4771377 and they will help you get registration sorted over the phone. See you there! Inquiry into the Determinants of Wellbeing for Tamariki Māori : Is It A Missed Opportunity? The government’s response to this 100 page report prepared by the Māori Affairs Committee is the standard reply " we are already busy doing heaps of stuff". Four pragmatic recommendations that would likely have an immediate impact on Tamariki Māori health and well-being were pooh poohed: (Rec 25)“Taking steps to increase the number of Māori teacher aides as a pathway to increasing the number of Māori teachers”. (Rec 42) “Extending free after hours healthcare to all children to the age of 18”. (Rec 43) “Investigate the provision of free healthcare to all children to the age of 18”, and (Rec 41) “Māori children’s action plan, enshrined in a Children’s Act, to set targets for children’s health and wellbeing against which all ministries and departments would be required to report”. Yes, a lot is going on in the child and family space but a key policy question remains unanswered - will busyness alone, without a high level, cross government plan with targets set to reduce child poverty, improve the lives of Tamariki Māori (and their whanau), on the scale needed to abolish child poverty in New Zealand, and within the lifespan of children needing help today, not thirty years down the track? How Meaningful is New Zealand’s Top of the Social Progress Chart? Mark Anielski at the International Institute of Sustainable Development. Statistics New Zealand’s work on Te Kupenga, the first survey of Māori well-being developed by Statistic New Zealand. Te Kupenga collected information on a wide range of topics to give an overall picture of the social, cultural, and economic well-being of Māori in New Zealand. There are signs that all the talking about paying home care workers for travel time between home care visits may have paid off. The Human Rights Commission has welcomed this move. Talking isn't the same as action though so we will watch this emerging space with interest. Alzheimers New Zealand has launched Dementia: A Strategic Framework, which replaces the national Dementia Strategy 2010-2015. The framework supports collaboration across government, DHBs, service providers, health and social services professionals and Alzheimers New Zealand and its members and reflects broad consultation across the New Zealand dementia community. It’s a great day for New Zealanders when politicians across the spectrum can agree on the important things in life, and treating older New Zealanders with dignity and respect is certainly one of those things. At Age Concern New Zealand’s national conference, held in Wellington, this week, Hon Jo Goodhew, Minister for Senior Citizens, announced $170,000 to fund two new specialist elder abuse and neglect prevention services in the areas of Rotorua and Wairoa. A panel discussion including a range of political representatives all agreed on the importance of tackling growing elder abuse. Elder abuse is a real concern which was brought to the public's attention as reflected in the recent case involving Maureen Quinn. The Wellington City Council’s Community, Sport and recreation Committee has endorsed Te Mahana - a strategy to end homelessness in Wellington – “Te Mahana pulls the sector in Wellington together under a unique arrangement – in partnership with Māori who are currently over-representative – to deliver outcomes guided by a set of principles such as housing being a basic human rights”. The Wellington Council also challenged the government to both endorse the strategy and to provide stronger leadership and resource homeless issues better. Read the report here. There is a lot going on in the social housing space including: the transfer of housing assessments from Housing New Zealand to the Ministry of Social Development (MSD) on 14 April 2014, reviewable tenancies for Housing New Zealand tenants, and MSD requests for information on social housing capacity. The latest Kete Kupu newsletter (Issue 30 March 2014) provides an update on what’s happening in this policy space, including links to further information. A cap on the interest rates charged by `loan sharks' has come down to one man and one vote - Peter Dunne - but alas it seems the man of the moment is a reluctant hero and has decided not to vote for a cap on interest rates despite support for the earlier Credit Reforms (Responsible Lending) Bill that included an interest rate cap. Winston Peters is very unimpressed along with many others. A UN working group visited New Zealand in March/April looking at our legislation on deprivation of liberty, and their preliminary observations raise specific concerns about the over-representation of Maori in the prison population, the difficulty challenging clinical decision on mental illness, and legal representation for people with intellectual or learning disabilities, the lack of protection for older people suffering dementia and detained in rest homes and secure facilities, and a gap in legislative protection for 17 year old children. 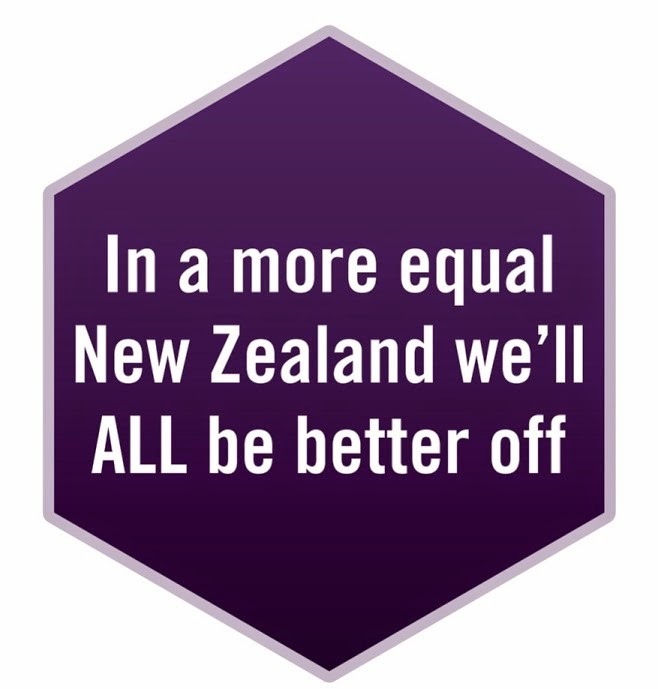 The Wellington Catholic Justice, Peace and Development Commission organised a picnic in Parliament in March to highlight inequality in New Zealand and to challenge our MPs to do something about it. There was a great turn out with speeches from Archbishop John Dew, Mgr Gerard Burns, NZCCSS’ own Trevor McGlinchey and Teresa Horman. Click on Wel-Com to find out more. Vulnerable Children Bill [Government Bill. Submissions closed 30 October 2013. Purpose: The Bill would introduce measures to protect and improve the well-being of vulnerable children. · More detail of the roles and professions where safety checking of paid children’s workers will be required. · A further 18 offences – relating to serious violent and sexual offending and objectionable material – to be added to the serious convictions that would prevent a person from working alone with or having responsibility for children in their job. · Changes that maintain employees’ rights without compromising the safety of children by providing a five day suspension period for concerns to be addressed between an employer and a convicted person before termination can occur. Purpose: The Bill would make spouses and partners, as well as beneficiaries, accountable for fraud, and strengthen debt recovery powers. Purpose: The Bill would give unsupported or orphan children a quarterly clothing allowance in line with the clothing allowance received by foster children. Check out this link to upcoming Social Welfare and Justice bills in the House next week. Priority will be given to the Vulnerable Children Bill, Victims' Orders Against Violent Offenders Bill and the Victims of Crime Reform Bill. Tui Tui Tuituia: Race Relations in 2013. Human Rights Commissions. Check out the 2013 annual review of race relations in New Zealand. The Last Word Goes to Archbishop John Dew taken from his speech at the Parliamentary Picnic last month.